Powerlifters can and should use hypertrophy training throughout their annual training cycle. Let me ask you this, why did you start lifting? How did you get into it? You probably were in the same boat as a majority of us, and more than likely you started lifting because you wanted to look better, impress that special person, and improve your self confidence. When you started you may have found a cookie cutter template to follow, or maybe you just did your own “thing” for some time. Either way, the focus was probably aesthetics more than anything and getting more muscular was the main goal. Eventually, as you made your way down this road of fitness you may have found yourself enjoying lifting weights and progressing some of the major lifts. At some point your goals probably shifted with strength coming first and aesthetics coming second. During this time, the focus on getting more muscular may have been lost. It is easy to get caught up in the idea of lifting heavy, and doing it often. The rush of testing your 1-RM each week tempts you, and unless you are following a program or have a coach you may just give in too often. Strength may be your main goal, but it is also extremely important to focus on increasing lean tissue. If you look at the top lifters in the majority of weight classes besides the Super Heavy Weight categories, then you will notice a trend. Typically these lifters are incredibly jacked and relatively lean, and their frames are packed with muscle mass and built to perform. These physiques were not built overnight and were probably not built from just following 5×5 and 5/3/1 programs. We know from the literature that the best way to increase muscle mass is not sets of 5, 3 or 1, but rather the strength and hypertrophy rep ranges with a variety of loads (1). Eventually, as an elite lifter you get to the point where you have tapped out the amount of muscle mass you can add to your frame naturally. This will most likely mean a shift to more strength work (repetitions of 4-6) and peaking work (Repetitions of 1-3) with a focus on neural adaptations. There are two guaranteed ways to increase strength. One being hypertrophy, the growth of lean tissue, and two being neural adaptations, the ability to fire the proper motor neurons to produce the most force. Both are trainable, and should be considered in a given macrocycle for powerlifting. The earlier you are in your training career, the more the focus should be on hypertrophy. Your hypertrophy training will lay the groundwork for progress for years to come. The more hypertrophy training you do, the more work capacity you will have. Meaning the amount of volume you can recover from will be higher. Thus meaning the more volume you can handle, the more progress you will make. As a beginner, your total work capacity has yet to increase. Your body is not in “shape” yet, and training stimulus is still relatively new. If we are to look at training from a long-term approach, beginners should spend a lot time doing different activities. Think of experience in powerlifting as a pyramid. The bottom of the pyramid has to be the largest portion so that the pyramid can be as tall as possible. Your total work capacity and general physical preparedness are the bottom of your pyramid — the base if you will. When you are at the bottom of the pyramid, your hypertrophy mesocycles should out number the amount of strength and peaking mesocycles you do. For every two hypertrophy cycles, you could do one strength and one peaking cycle. As you progress in both strength, and experience your training can become more sport specific (focused around the Squat, Bench, and Deadlift) and your pyramid slowly tapers up. At the halfway point of your pyramid (intermediate level), we can hopefully assume you have made some significant strength and size gains. Now, we can focus less on adding size as often, and training heavier a little more often. This doesn’t mean we skip our hypertrophy mesocycle, but the ratio of hypertrophy to strength to peaking cycles are more evenly distributed. Your macrocycle might look like one hypertrophy cycle, one strength cycle, and one peaking cycle or even one strength cycles. To key to a great hypertrophy block is addressing weaknesses and refining technique. The volume is higher than that of a strength block or peaking block meaning you have more repetitions to practice good technique. The weights will also be relatively lighter, meaning holding good technique should be easier. With that being said, the number one goal of a hypertrophy block is, well, hypertrophy. Meaning we want to get the muscles bigger that need getting bigger (often weak points). For some, this may be their quads, for others their chest, it is highly individual. This means that making a proper assessment as to what a given lifter is lacking based on their lifts is crucial before writing a hypertrophy program. RIR = Rep In Reserve. Read more about this concept with our RPE and RIR article! This training day includes the bench press first. This allows the lifter to have an abundance of energy to complete the competition lift to the best of their ability. The goal should be technical consistency rep to rep practicing the same motor pattern over and over again. Following the bench press is the close grip bench press. This movement is great for tricep hypertrophy, and will have direct carryover to a stronger lockout on bench. After the barbell work is done, the lifter will move to their accessory work. For accessory work it is just as important to use progressive overload and track your progress. Just like the main lifts, the volume and/or intensity of these exercises should increase week to week. It is fairly common for hypertrophy training to take the back seat in a lot of lifters programs. 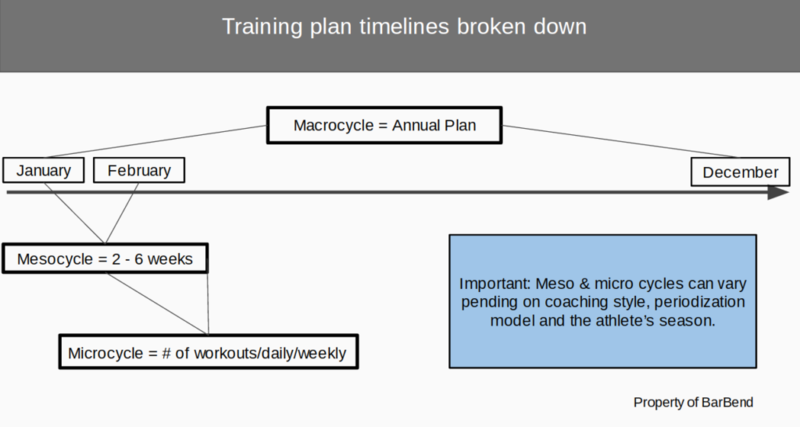 Often coined “off-season” training, but in reality it is crucial to “in-season” training, too. When lifters don’t allow their bodies to grow and become more muscular, there is less support for the joints and risk of injuries as a lifter progresses can increase. This is why it is best to maximize your muscular potential first, and then as you become more experienced (and jacked), your strength programming can increase. If you find your progress stalling, take a look at your training, and maybe in the mirror. Have you been focusing enough on muscular hypertrophy? Are you spending too much time lifting relatively heavy, and not enough time building out your frame? Switch the focus to spending some time on growing your muscle mass, and reap the benefits as you transition into strength and peaking mesocycles after that. Feature image from @socal_powerlifting Instagram page.